Beginning in 1951, West Berlin hosted the annual International Film Festival (Berlinale). In the context of the Cold War, the Federal Republic and the U.S. viewed the festival as a poster child for cultural freedom and consumption. 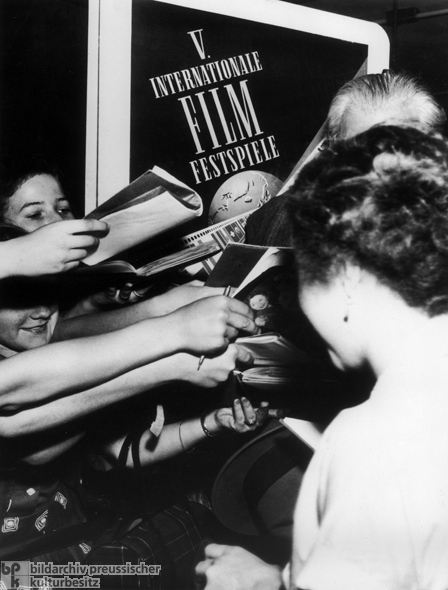 The photograph below features autograph collectors at the Fifth International Berlin Film Festival, held on Kurfürstendamm from June 24 to July 5, 1955. Photo by Heinz Köster.